This post contains an affiliate link to the book I recommend. One of my favorite delights of summer is finding a great piece of fiction. I allow myself more pleasure reading in my “off” months. 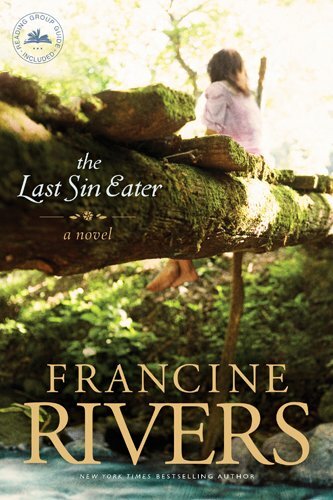 So with the goal of finding a satisfying summer read I wandered down my library’s aisles until I discovered a book by Francine River's book I hadn't read. Having read River's gut-wrenching Redeeming Love I should have known I wasn’t in for a light Christian read. Everyone is not tall, handsome, and gifted in this story. Instead this book adroitly uses its characters to illustrate the pathos of the human condition. I was immediately drawn into Cadi’s story which is expertly unfolded, bit by tiny bit. This young heroine has layers of strained relationships and a back story the book pivots upon , which River's slowly reveals. The reader begins to guess at the underlying problems, but there always seems to be one more tidbit to learn. Set in the Appalachian Mountains, the tale revolves around a community that has developed its own way back to God, that they don't want disturbed. When a zealous evangelist finds their nestled community, the precarious balance they had built begins to teeter. Oh, I hope I can learn to write such riveting narrative someday. I mean, I am only 50. There is still plenty of time? Weaving this tale together, Francine Rivers uses the story line and characters as an allegory to man’s need for the gospel. Cadi's world can offer no resolution to her guilt and shame, but the Gospel, in all its redemptive glory can. The truth is clear: we all need redemption, even the guys in the white hats. Even the ones trying to do the right thing. Because no matter what good we are trying to do, we all fall short. And we HAVE to do it His way, not our own. This community's struggle illustrates how truth that is tweaked to fit custom or culture is no longer truth. Well, that will preach- especially now. Do yourself a favor. Get this book, and then find a corner to hide in for a few days, because you won't want to put this one down.